October 15, 2015  China's economic growth is slowing and misallocation of resources is making things worse. 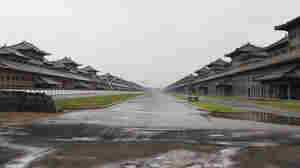 In one city in recession, the new airport is mostly empty and plans for a giant liquor factory have stalled. 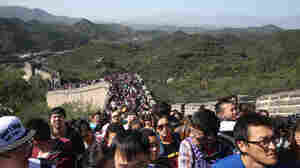 October 11, 2015  China just wrapped up a holiday week in which an estimated 500 million people traveled around the country. NPR's Frank Langfitt explains why his family rarely travels for fun anymore in China. 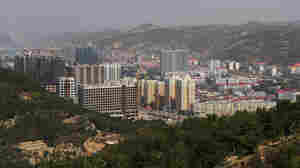 September 16, 2015  The city of Luliang, in China's coalfields, was to become home to a $5 billion business district. But corruption, reckless pursuit of growth and overcapacity led to a crash in its industrial economy. August 26, 2015  China's leaders were, until recently, seen as highly competent in managing the economy. 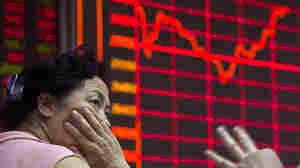 But a bungled currency devaluation and a stock market collapse have challenged the conventional wisdom. August 25, 2015  Private museums are sprouting up along Shanghai's riverfront. 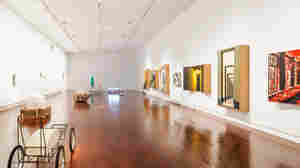 The city that lures people seeking their fortune is also attempting to become a destination for art. August 25, 2015  There are some indications of price drops, slowing sales and slowing factory production. The bigger question analysts are asking is about over-capacity. Is China just making too much stuff? August 24, 2015  The Shanghai stock market plunged more than 8 percent on Monday and major markets were down across Asia over concerns about China's economy. Those worries are having an impact around the globe. August 23, 2015  A massive explosion in Tianjin, China killed more than 100 people earlier this month. Correspondent Frank Langfitt says the country's corruption and a lack of accountability have endangered lives. August 20, 2015  For many rural Chinese, the dream is to live in a big city. But some people are now rejecting urban life and moving back to the countryside to grow safer food and enjoy a more tranquil existence. August 20, 2015  Official Chinese news media report that two owners of the Tianjin warehouses, the site of explosions that killed more than 100 people, confessed to using political influence to avoid safety rules. August 18, 2015  Monster Hunt, a life-action, CGI fantasy, has brought in more than $330 in China this summer. The Chinese-made film has now made more money than any other movie except for Furious 7. 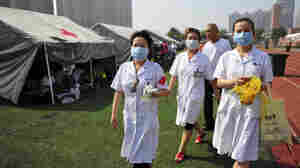 August 13, 2015  Massive twin explosions in Tianjin, China, Wednesday night left at least 50 dead and hundreds wounded.